On Monday, 18th, August, some of the Thai staff from the International School of Chonburi participated in a Child Protection workshop presented by staff from the Hand to Hand Foundation. During the workshop, the staff was encouraged to think about child protection issues and how the students at their school can be protected from potentially harmful situations. ISC staff gathers for a team photo with staff from the Hand to Hand Foundation. The group also explored potential child protection issues and abuses in the wider community and identified strategies for how they can assist a child who they see is in danger or at risk. 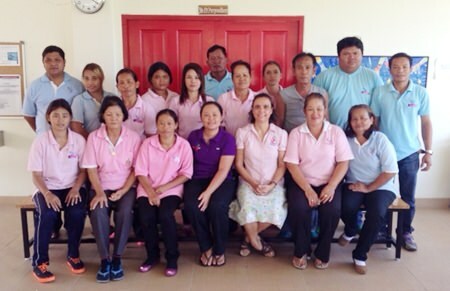 Some of the Thai staff from the International School of Chonburi participate in a Child Protection workshop presented by staff from the Hand to Hand Foundation. Previous articleDid I deserve this?